Scribed by: CB Ash | Just joining us? 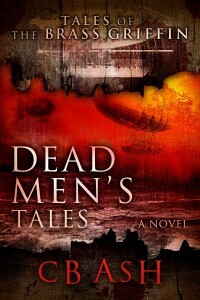 Dead Men's Tales starts here! Most recent, here! The sharp crack of gunfire shattered the cold silence of the tool room. Angela, sitting as tense as a wound spring, abruptly leaped to her feet, letting go of her grip on the mechanical squirrel monkey. The monkey looked around, chattering idly. “Yes, Doctor,” Angela replied with a quick nod. She reached down for the monkey, who took her hand and quickly climbed up into her arms. “But,” Angela started to protest. “No arguments, young lady,” The doctor replied, opening the door. Abruptly a crate smashed against the door, knocking it loose from its hinges and ripping it from the doctor’s grasp. Thorias staggered back. Angela screamed in surprise, immediately transforming into her werewolf form on instinct. Thirty yards away, a monstrous figure loomed out of the darkness, running toward them. Muscular and hunched, it ran with an ape-like gait, battering crates aside as if they were toys, and snarling like a rabid dog! Startled, Thorias whipped his .44 LeMat revolver from its holster. Taking quick aim, he fired twice, the pistol stabbing flame towards the figure. Immediately, the doctor’s face twisted in pain as the vibrations from the pistol jarred his wounds. The beast staggered, falling forward as two bullets found their mark. Slowly, the figure climbed to its feet. Blood oozing from the wounds, it screamed, lashing out in pain at a nearby create, and smashing it to kindling. It was a giant of a man, easily seven foot tall, a veritable hulking figure that was three foot wide at the shoulder. Muscular to the point of grotesque, with woolen coat and clothes stretched tight across his frame, he was completely barefoot, despite the temperature. His pants were ragged and torn with a bloody hole ripped into one thigh, with fresh bullet holes in the coat on his chest. The pair bolted away from the door seconds before another crate shattered right where they had stood. With another yell of frustrated rage, the giant leaped forward after them! Racing across the warehouse floor, the unlikely duo dodged in and among the few items of cargo, using what they could as natural cover against their pursuer. Thorias looked around, gasping for breath, hand pressed to his wounded side. “Going!” Angela said quickly, ducking as a section of pipe – obviously freshly torn from its housing – sailed over her head. Grabbing the folds of her dress, she hiked it up just enough to keep it out of her way while running. While Angela ran for the stairs, Dr. Llwellyn spun around towards their pursuer. Twenty yards back the ape-like giant raced forward to a pipe that ran the length of a wall from floor to ceiling. Reaching out, the beast grasped the pipe with two muscular, hairy hands and pulled. Steel shrieked in a death scream as it deformed in his grip. “What in Heaven’s name are you?” The doctor said incredulously, taking careful aim and pulling the trigger. His LeMat barked flame, but missed, instead striking the steel and sending hot sparks into the beast’s face. 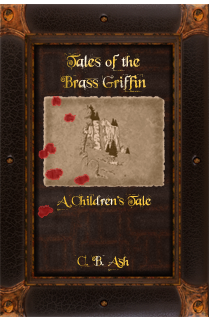 The giant roared in pain, then with a single swipe ripped the steam pipe from the wall! Metal popped with a deafening sound, and pressurized steam exploded outward, knocking the beast back across the cold floor. His makeshift club skidded to a stop next to him. “Doctor!” Angela shouted in alarm from the stairs. Thorias looked up in time to see the massive, twisted steam pipe descending in the air, seconds from reaching him! Throwing himself aside, he slammed into a stack of boxes, knocking them over onto a metal grate suspended over what looked to be a large drainage tube. An invisible odor rose from below that smelled of methane and charred refuse, as would come from an incinerator. The doctor collapsed against the grate as the boxes fell around him. 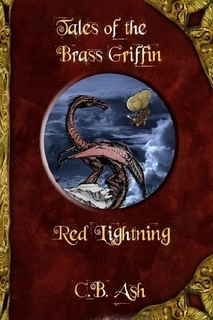 He had little time to think about the grate and pit further, as a thundering rumble alerted him to the giant, charging towards him at top speed! Thorias rolled to one side as the beast hurtled by, rushing towards the stairs for Angela. The doctor struggled to a sitting position, aimed and pulled the trigger twice. The bullets slammed into the back the giant’s thigh. The beast howled in pain as its leg buckled, sending him crashing to the floor in a heap. It rolled over, giving the doctor a murderous look. Once again, the giant got to his feet, only this time it was much slower. No sooner was the giant upright, than he rushed forward again, charging like a mad bull, blood streaming down his bullet-riddled leg! With every step, the giant’s gait became less of a bound and more of a limp. At the last moment, Thorias threw himself aside, so that a stack of boxes and a steel steam pipe running from floor to ceiling stood in the giant’s way. The beast crashed through the boxes, scattering them in all directions and careened off the pipe, unable to stop in time. With a triumphant smile, the doctor quickly hurried across the short space to the stairs, where Angela stood, clutching the rough wooden railing, eyes wide in fear. “Angela, I …” the doctor began, but never finished as a box of metal tins slammed into him from behind, hurtling him into the wall. He bounced off with a dull thunk and slid to the floor, slightly dazed. “What? What did you call me?” He said sluggishly between waves of pain that radiated from his abused side. His mind, caught in the fog of the wounded, wandered among childhood stories that rose to memory. Myths of heroes and monsters, and of legendary creatures that stole the unwary. “Good God … a Fomorian,” he said in a horrified whisper. The beast ignored the doctor’s question, but instead looked around. Picking a crate easily larger than a man’s head, he lifted it up, preparing to hurtle it towards the doctor. Angela’s ears were flat back against her head, and her fur stood out, bristling at the bestial man a few feet away. Peeking out from beneath her torn skirts, her tail was held low, twitching slightly with irritation. The girl flexed her fur-covered hands with their elongated fingers, forcing her obsidian-black claws to slide out just a fraction of an inch more than normal. She kept her feet apart, crouched slightly forward despite the pain in her leg. She growled nastily, flexing her claws. “Angela, for Heaven’s sake, don’t be foolish. Run!” Thorias exclaimed, struggling to pull himself upright, then failing as pain wracked his body. “No!” Angela snapped back. She glared at the giant, baring her wolf-like teeth. A rising terror clutched at her wolf instincts, prodding her to run. She deliberately ignored that feeling, instead taking a deep breath, then letting it out slowly with a long growl. “You will not hurt him again!” She snarled. A bitter fear rose sharply, gripping the werewolf girl, and her hands shook slightly. Even so, she stood her ground. “Then … ” she stammered, “then I won’t go easily!” She flexed her clawed and fur-covered hands again, crouching a bit lower, preparing to leap. “Hey!” A shout split the cold air. It echoed all around, slicing through both emotion and concentration as surely as a clockwork farming servitor could shear a sheep. Angela jumped back in surprise at the sudden sound, while the giant spun around, only to stumble to one side, favoring his wounded leg. “That’s right ya stupid wanker! Remember me?” Ian Tonks Wilkerson shouted from a few feet away, bruised yet grinning widely. 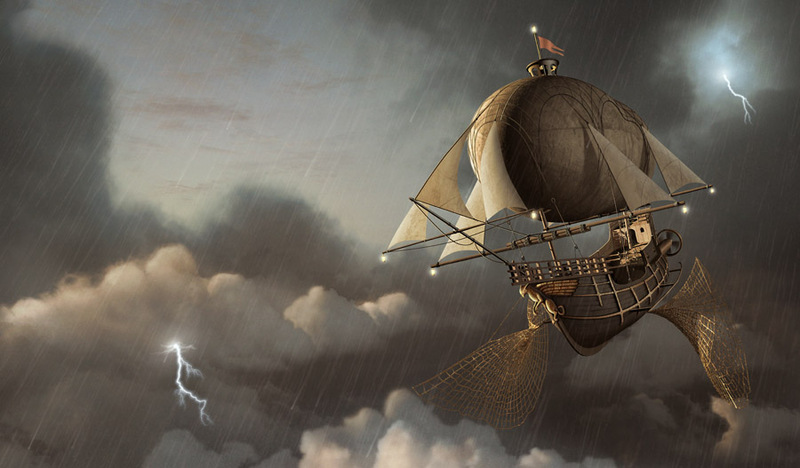 Before anyone could reply, the pilot shoved hard against a rust-stained lever protruding out of the floor next to him. Gears turned, wheels groaned in protest, and the grate fell open beneath the giant’s feet! The Fomorian screamed as he fell, reaching forward to grasp anything near him. His fingers brushed the crate, but did not gain purchase. His hands slipped along the cold floor, where the wood was polished smooth with no handholds. At last the Formorian lunged for Angela, who swiped angrily at his thick fingers with her sharp claws. The giant screamed in pain, jerking back his bloody fingers instinctively. Finally, panic filled his eyes as at last, and he slipped beneath the floor into the yawning mouth of the pit. As the giant fell, screaming in both fear and rage, Tonks hauled the lever back, slamming shut the grate. “Where does it lead?” Angela asked, clutching the monkey servitor tightly as it scampered out of hiding and back into her arms. She took a shaky, deep breath in a vain effort to chase off her fears.